Black pepper fruit extract has multiple bio-activities that appear to support fat-burning efforts. ck pepper is a flowering vine native only to the southwestern Kerala province of India. Its small, round fruit is dried and ground into a spice and food seasoning. 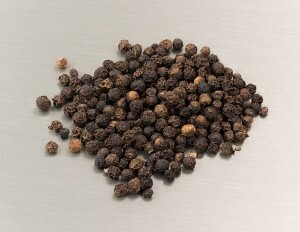 Black pepper has been used as a spice in India since prehistoric days and traded since at least 2000 BCE. It was called the ‘king of spices’ and nicknamed ‘black gold’ because it was valued as much as gold, mainly for its health-supportive purposes. In ancient times, peppercorns were so valuable, they were even used as currency in place of coin in India.1 Black pepper is still valued today, and it is one of the plants included in the Millennium Seed Bank. In traditional herbalism, Ayurvedic practitioners used black pepper for a wide variety of health issues including respiratory issues, stomach problems including constipation and diarrhea, aches and pains, skin problems, and parasites. Since Orsted’s piperine discovery, modern research has reinforced the effectiveness of many of the ancient black pepper remedies. Evidence now suggests black pepper extract can reduce or eliminate infections caused by parasites, like Malaria; helps modulate some inflammatory responses; and functions as an antioxidant. Did you know? 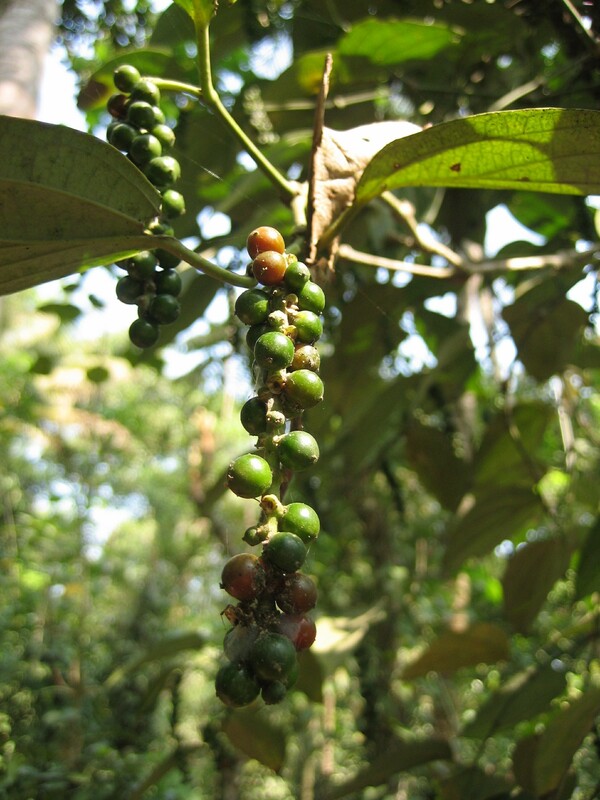 Black pepper extract is a common ingredient in supplements because it enhances bioavailability – the degree and rate at which the nutrients present in a supplement are absorbed, resulting in a more potent effect. d weight loss through several actions of its active ingredient piperine. ="https://supplementsinreview.com/fat-burner/cayenne/#capsaicinsfat-burningbio-activities">capsaicin and other spicy foods are valued for their fat-burning, metabolism boosting properties, and black pepper extract may benefit bodies in a similar way. Pepper can aid digestion, which promotes better body function and healthy weight management. animals show some promise for using piperine as a weight loss agent. This study examined the anti-obesity effects of piperine on overweight rats. The rats were first fed a high-fat (HF) diet for 15 weeks to induce obesity, and then divided into HF, or HF supplemented with 20, 30, or 40 mg/kg bodyweight piperine groups for 42 days. The trial found that all doses significantly decreased bodyweight and lowered other biological markers of obesity such as insulin resistance, with the highest dose (40 mg/kg) resulting in the strongest effect. At the end of the study, the HF-only rats weighed an average of 527 g versus 369.2 g for rats fed HF plus 40 mg/kg piperine. This study look at the effects of piperine (PIP) and black pepper extract (BP) on metabolism in obese mice. The mice were fed either a control high-fat, high-sucrose (HFS) diet, or HFS plus 0.03% PIP, 0.05% PIP, or 1% BP. 0.05% PIP was found to reduce bodyweight gain compared to the control diet, and both 0.03% and 0.05% doses resulted in reduced visceral fat, which is stored around the abdominal organs. The researchers suggest that piperine works primarily by stimulating receptors associated with metabolism. The goal of this study was to investigate how piperine may affect adipogenesis – the formation of fat. Using mice cells, the researchers found that piperine suppresses the formation of new fat cells by inhibiting the action of the proteins PPARγ and LXRα, which are also present in humans. This study examined the effects of piperine on body weight and blood fat levels in obese mice. The mice were split into the control high-fat diet and high-fat plus piperine 40 mg/kg bodyweight groups. Piperine was found to significantly reduce body weight (12-15% less than control), fat mass, and blood fat levels, along with increasing HDL – the “good” cholesterol. The researchers suggest that piperine may work by acting on the MC-4 protein receptor which has been associated with obesity, in addition to affecting enzymes associated with fat metabolism. bodyweight per day is effective and does not appear to produce any side effects. s of bioperine, given that it is based largely on piperine – the main active ingredient of black pepper – it can be assumed to be safe. After all, black pepper has been a part of the human diet for thousands of years. 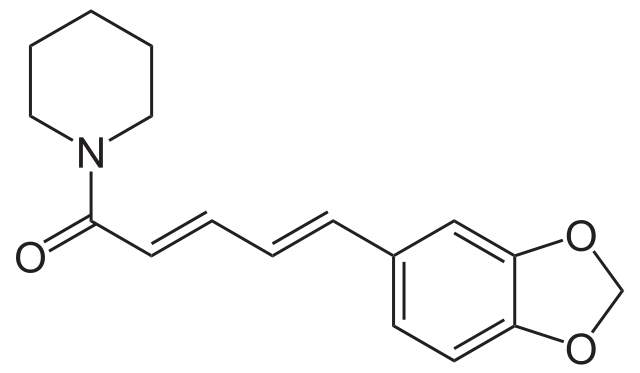 Piperine’s ability to enhance absorption of other nutrients may be considered a positive “side effect.” Black pepper extract increases the bioavailability of curcumin, the effective substance found in turmeric and ginger, by up to 2000%.13 It also increases the absorption of green tea catechins, a combination which could be beneficial to weight loss programs. dized to contain at least 95% piperine. Black pepper extract may help fat loss. Its active ingredient, piperine, exhibits both fat-burning and nutrient absorption-enhancing properties — making it an ideal ingredient for fat-burner stacks. Bioperine® is a premium brand of black pepper extract. It is patented for its ability to boost nutrient absorption, and has undergone more clinical research than other black pepper forms. It is a little more expensive, but we feel it is worth it for fat-burning applications.